As mentioned before, the base map of Lesotho is completed and new tools are needed for making the map more detailed. This is where Mapillary becomes relevant for the planners. Getting the street level view provides more information than satellite imagery and the mappers can use this increased detail to take the map to the next level. The Mapillary sessions started with a general presentation about Mapillary, what we do, and how Mapillary is used around the world. 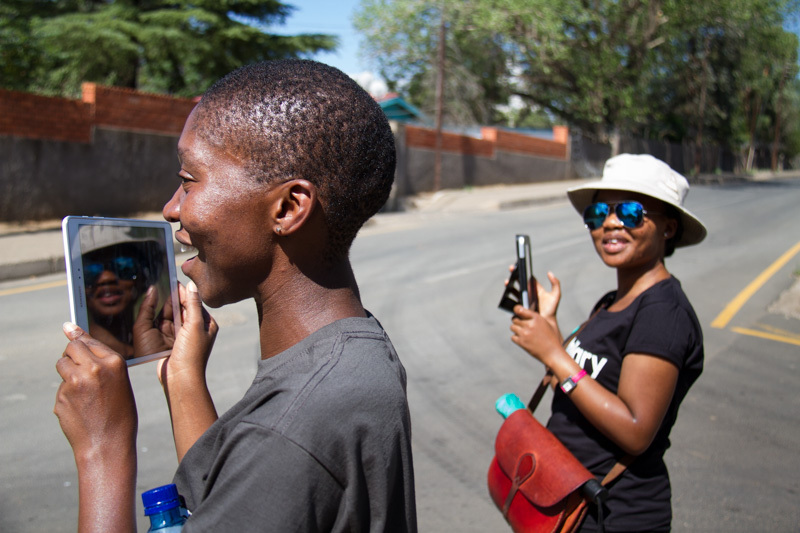 The sessions continued with installation and setup of the Mapillary app on as many devices as possible. There are technical challenges in Lesotho. The fact that devices are not always from the latest iteration made this task harder than expected but most of the planners had a device with a working Mapillary app installed in the end. 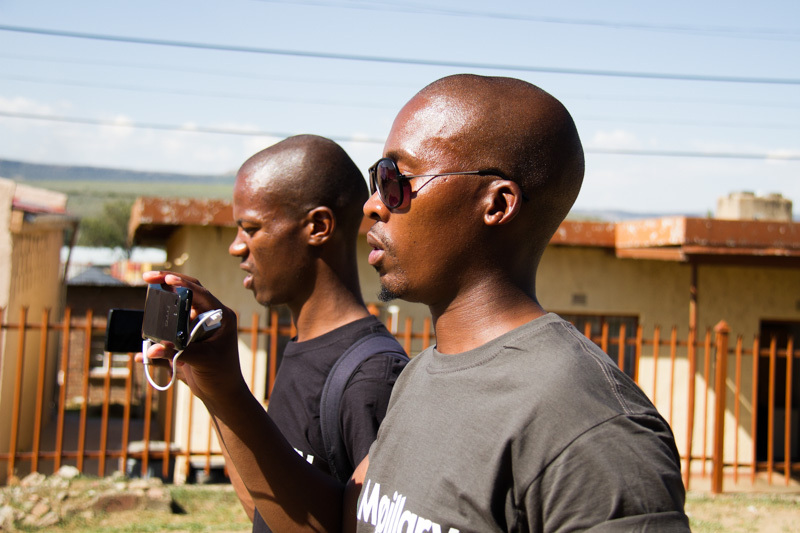 After that, we held a deeper session on the topic of capturing photos and using Mapillary in general. We discussed different capture modes, strategies for capturing content that is relevant for updating maps, and points of special interest. 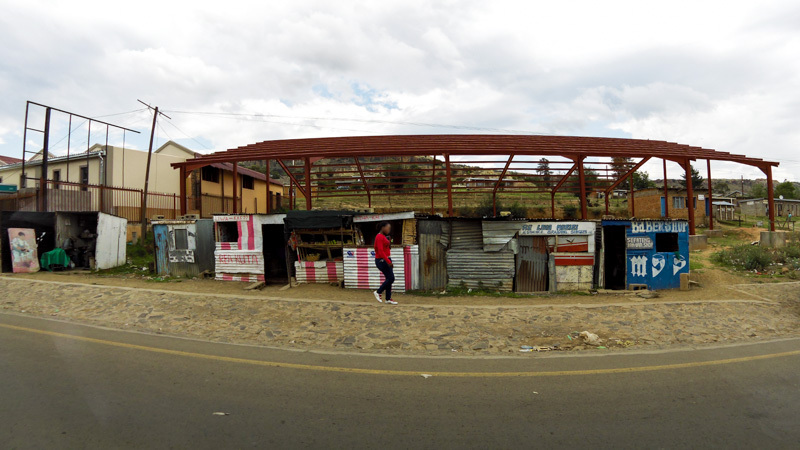 Another interesting point made by the planners is that they could map roadside Spazas, small shops and food places in sheet metal present everywhere in Lesotho, with Mapillary. With an extensive number of Spazas mapped they could then make a case that this is a tag that should be added as a Lesotho feature in OSM because it is a common and important building type in daily life. During the mapping event, the planners were divided in three teams. A plan was made for mapping three neighbourhoods together. The planners discussed how to pair up within the teams to collaborate and take photos in different angles when covering the same street. 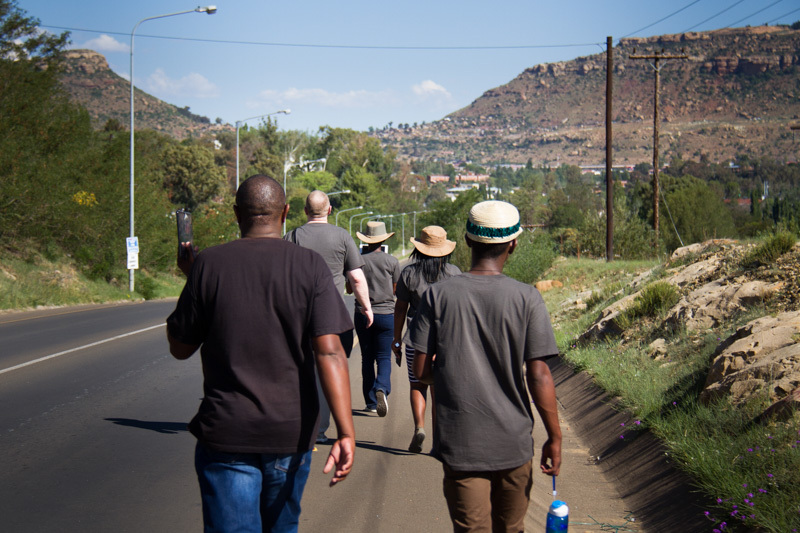 The three neighbourhoods in Maseru were systematically mapped. Between each neighbourhood the whole group was gathered and discussions were held about what was difficult and what could be improved for the next patch. Along the way, the planners became more comfortable using Mapillary and in the end they had more knowledge about how taking photos in different angles provides different levels of information. It was 35 degrees Celcius and blazing sunshine during the event. In spite of this, the planners were determined not to take any breaks and finished the mapping task in style. After mapping the three neighbourhoods they also did some great mapping along the two kilometer walk back to the hotel. Back at the hotel after three hours in the intense heat, everyone got some well deserved rest at the pool bar with discussions and smiles. The day did not end there though. After going back to the study room, a number of planners stayed for hours after the workshops ended to review and upload all their images before going home. Having access to the free wifi provided by Fingal County Council during the #MapLesotho event was integral to be able to upload the images. The reviewing process was the next important step to gain knowledge about qualitative images. Badly tilted images, images pointing too much to the sky or to the ground where spatial sense was lost, and images where cars were covering a large part were removed before upload. This also gave insight in how to improve capturing in the future. 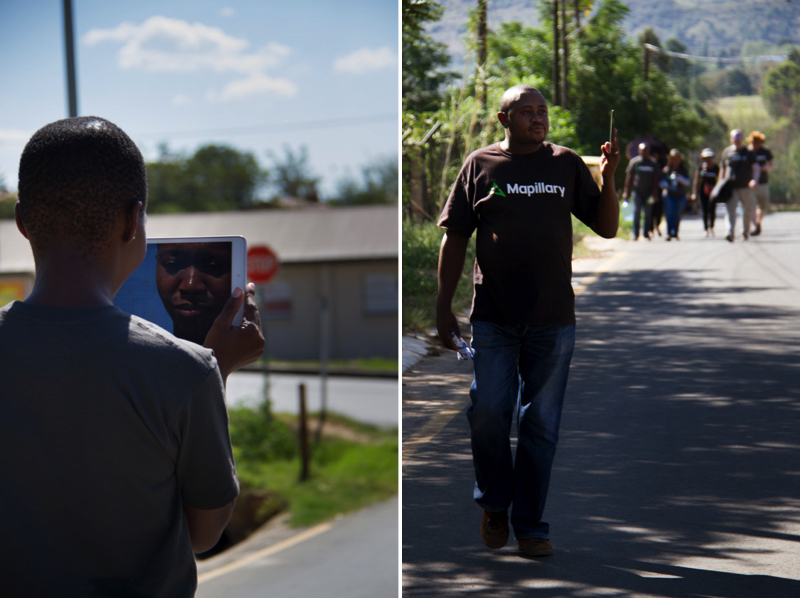 With the images uploaded, the JOSM Mapillary plugin was used to harvest data. Detailed features like house numbers could immediately be spotted using the zoom functionality in the plugin and signs were used to validate street names. Some conclusions were also made regarding capturing angles after using the data in JOSM. Photos taken forward provide a good overview of the street and photos taken with a 45 degree angle provide more detail of the buildings. Photos taken with a 90 degree angle, facing the building, can provide deep level detail like house numbers, but also require taking photos with two cameras or walking back and forth. The purpose of the mapping will determine what angle and method the mappers will use on a case by case basis. 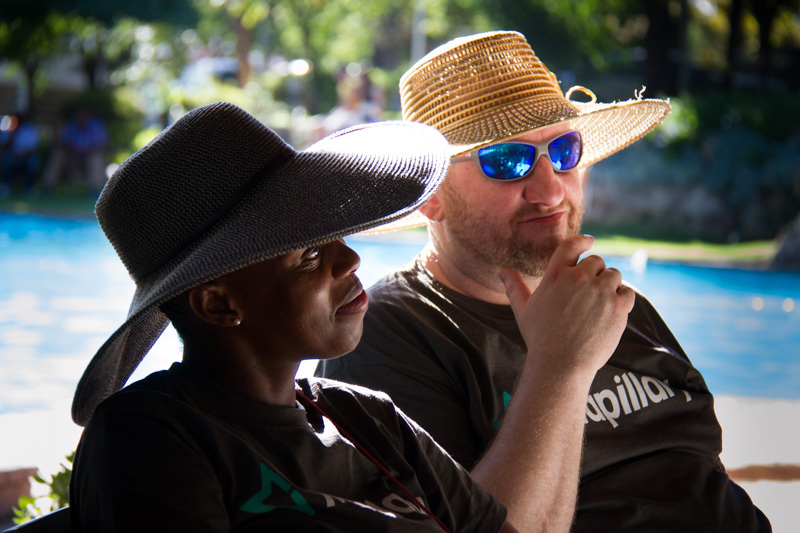 Technical challenges are the biggest obstruction for the next phase of #MapLesotho. Mobile data and wifi are very limited, causing the planners problems making the map of the country more detailed. But the dedication, the ambition and the will are there and thanks to that the planners have come this far. The discussions and data harvest during the sessions showed that Mapillary already provides great value for the planners. If some of the technical challenges can be overcome, like having access to free wifi at work to be able to upload more easily, the mapping can reach the next level. 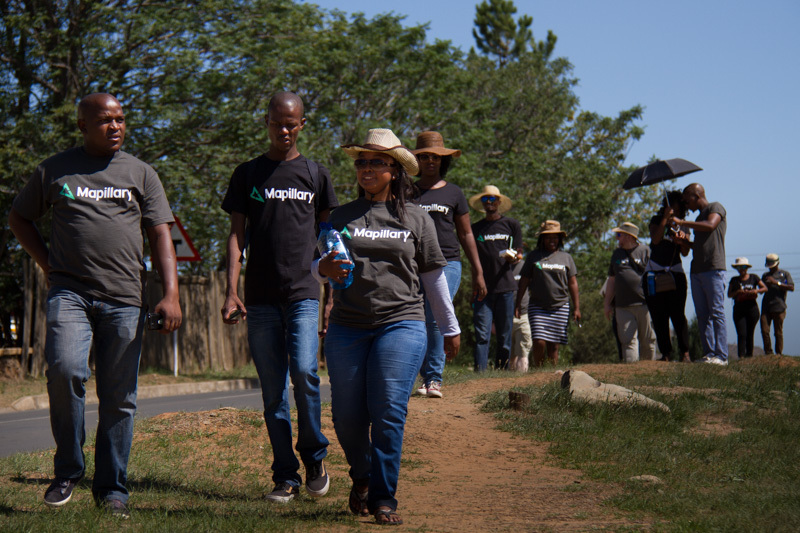 We would like to thank everyone involved in making the Mapillary sessions possible. The planners for their tireless work and input to us about their challenges, which are also our challenges. Ciarán, Colin, and Dave for discussing ideas, giving input and providing technical help and solutions throughout the week. At last, Fingal County Council for giving us the opportunity to take part in the #MapLesotho event. 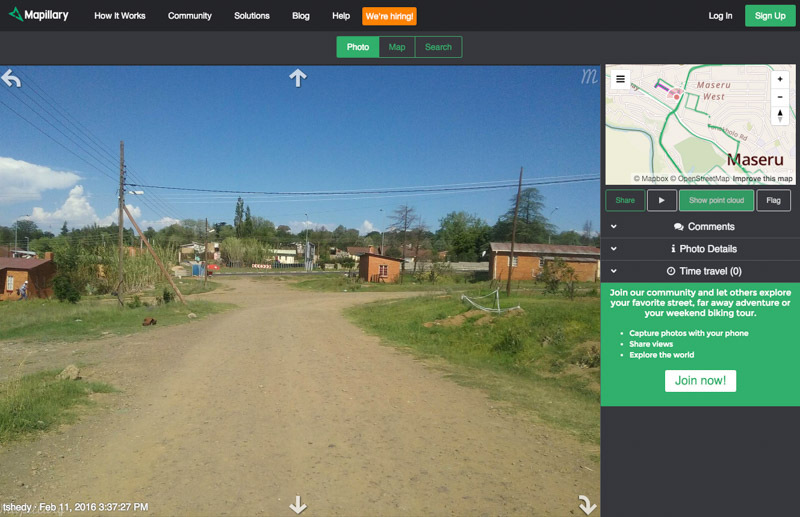 This post is published jointly on the #MapLesotho and Mapillary blogs.